Unsurprisingly, the HomePod is designed to work best with Apple Music. This support is highlighted by Siri's expanded knowledge in the domain of music. Users will be able to ask questions like, "Who's the drummer in this?" or "Who's singing?" There is more flexibility in Apple Music-related commands as well, allowing you to tell Siri, "Play something new" or "Add this to my workout playlist." 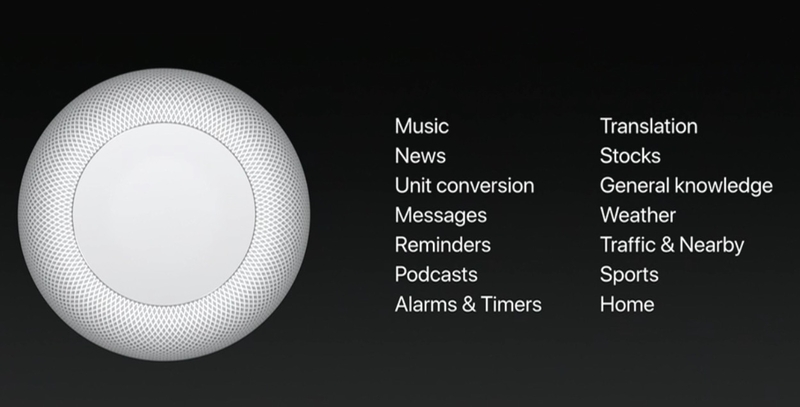 In addition to the focus on Apple Music, Phil Schiller highlighted a number of other areas that Siri would be equipped to handle on the HomePod, as seen below. These include the obvious things like HomeKit device control and general knowledge inquiries, as well as fresh Siri domains like News. Hardware-wise, HomePod is powered by an A8 chip, a six-microphone array, seven beam-forming tweeters, and a 4-inch woofer. These combine to create a powerful audio mix meant to fill a room. A HomePod is spatially aware, meaning it can analyze the acoustics of a room and adjust sound based on its location in that room. 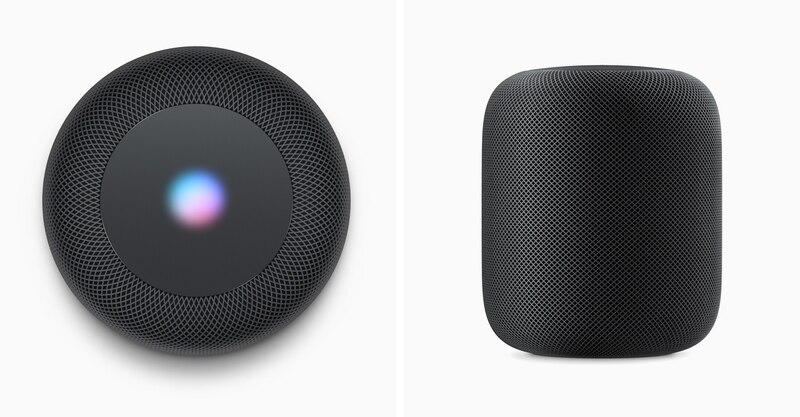 It also includes new technology like Apple's AirPlay 2 protocol, which allows multi-speaker support that will enable multiple HomePod devices to wirelessly communicate with each other. As with products like the Amazon Echo, the HomePod's primary interface method is through voice. It does not contain a screen. But there are some basic options for touch input as well. By tapping the top of the HomePod, you can play, pause, or adjust the volume of whatever's playing. The top of the HomePod also lights up to display an LED waveform while you're talking to it, similar to the way Siri interactions animate on other Apple devices. 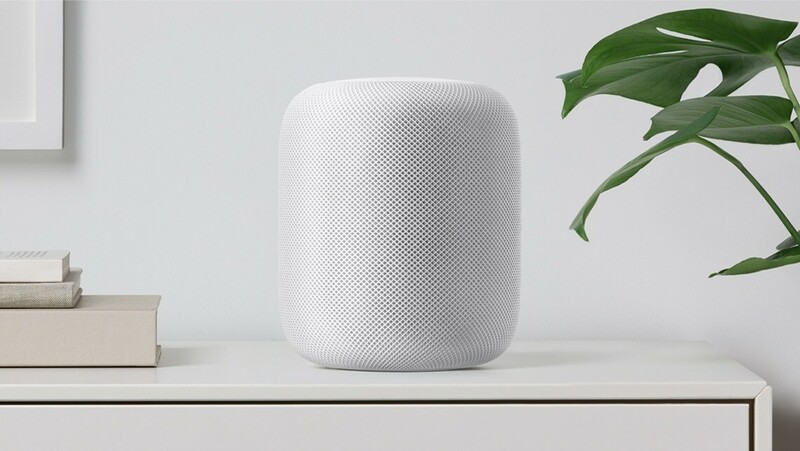 When the HomePod is released this December, it will be available in both White and Space Grey finishes. It will launch first in the US, UK, and Australia, with more countries to follow in 2018. Apple has a short product video for its new product, available for viewing below.